Trust the Vancouver Sun to whitewash corporate shenanigans. Case in point, the annual meeting of the Bank of Montreal in Vancouver on March 22. The bank has become a major target of public hostility in Wisconsin, where last December it bought the Marshall and Ilsley Bank for $4.1 billion. While BMO shareholders listened to CEO Bill Downe present his rosy forecasts for profits from this acquisition, public and private sector workers and their supporters protested in front of the M&I branch in Madison, Wisconsin, ground zero in the corporate attack on public sector unions. It turns out that the bank and its top executives led the list of contributors to Republican Governor Scott Walker’s campaign fund in 2010. After Walker pushed through the so-called budget repair bill that eliminated public sector bargaining rights for many Wisconsin public workers, protestors assembled outside the bank. None of this information was included in Sun reporter Derrick Penner’s account of the meeting, which was little more than President Bill’s corporate messaging. Nor did Penner mention that the M&I bank, whose name he misspelled, had received $1.7 billion in Troubled Asset Relief Program funds from the George W. Bush administration. Nor that, as part of the deal, BMO would pay back that sum to the U.S. government, bringing the actual acquisition price to $5.8 billion. It was all about the sterling profits this investment would return to shareholders. And, of course Penner neglected to mention the fact that M&I CEO Mark Furlong would received an $18-million bonus when the deal closes on July 31, 2011 and BMO moves the headquarters to Chicago, where Furlong will take over as CEO. Nor did Penner mention the delegation of Canadian workers that showed up at the Vancouver meeting asking questions about the unseemly nature of the takeover. All in all, not a very informative story, even for Bank of Montreal shareholders, who’d like to know more about the risks associated with their investment. Penner wasn’t alone in his selective reporting. The Globe and Mail’s Boyd Erman left the same gaps in his Report on Business story. The censoring of this issue by corporate media points out the crucial role played by alternative media in ensuring citizens get the whole story. See here and here for more information from alternative sources. Erman did include a revealing quote from President Bill, who said the bank was looking for more American acquisitions. “The model is to integrate North America,” Downe said. 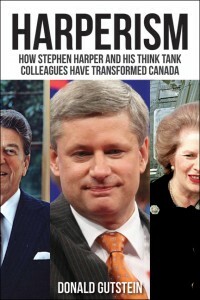 Was BMO supporting the Harper agenda of deeper Canada-U.S. integration?